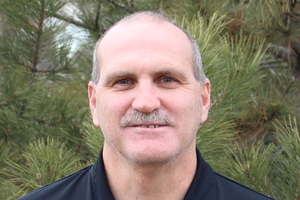 Rick Schmitt joined DTEC in 2000 as an installer. He was soon leading a team, and now serves as General Manager overseeing all day to day operations. Our clients find Rick’s experience invaluable. In addition to his experience, Because Rick is wired to build long term relationships with clients, and he often makes value added recommendations that result in cost savings for our clients. From Rick’s perspective, he is always willing to do the right thing for clients, even if it reduces our revenue in the short term. Rick is continually improving his leadership skills and continues to look for innovations in processes and equipment. Rick is a culture leader and enjoys investing in our team to ensure that we have the most professional, knowledgeable and courteous teams possible. Rick takes great pride in delivering excellent results for clients and his investment in our employees is the way he does this. Rick is typically the best contact at DTEC for negotiating long term contracts, per lot pricing for builders, or for problem solving compliance challenges that need more innovation than the typical responses. Rick grew up in Nebraska and he’ll be happy to sing the Husker fight song for you (his coworkers think the fight song is only played on jugs and washboards up there in Nebraska). He is a happily married father of five who has watched more youth sports than other people would see in several lifetimes. Don’t miss the opportunity to talk college sports with Rick, he will be certain to have something to say about your favorite team.